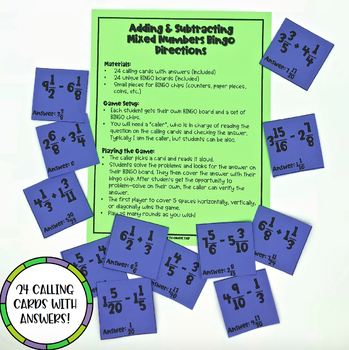 Are you looking for a no-prep and engaging activity to supplement teaching adding and subtracting mixed numbers? 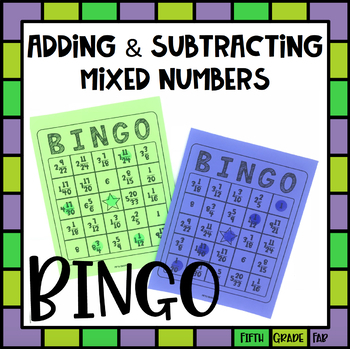 This Adding and Subtracting Mixed Numbers Bingo Game was created to provide students with a fun activity to practice this skill! Thank you for your support! Please reach out to me at emilyhelle429@gmail.com if you have any questions or product requests! 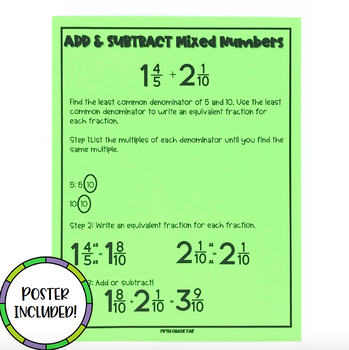 To earn TpT credits, please leave feedback. These credits can be used towards future products! 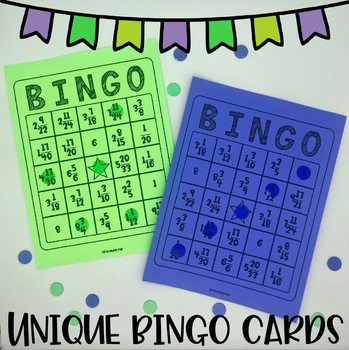 Please follow me at my TpT store, Fifth Grade Fab in order to be notified when new products are added to my store.